A World view on Netaji: Did Pranab Mukherjee play a role in the Netaji mystery? Did Pranab Mukherjee play a role in the Netaji mystery? The latest book by journalist Anuj Dhar on the mystery of Netaji Subhas Chandra Bose's death/disappearance points to a discouraging role by Pranab Mukherjee [ Images ] in resolving it, writes Vicky Nanjappa. India's Biggest Cover-up, the just-released book authored by Anuj Dhar is expected to set the cat among the pigeons. The insight into the Subhas Chandra Bose mystery relies on official records, bulk of them still security classified in violation of democratic norms, to invalidate the air crash theory about Netaji's death. Dhar has spent more than a decade in making sense of the vexed issue. In the course of his efforts, Dhar obtained information from the Taiwan government ruling out the alleged air crash which supposedly killed the nationalist leader. In a previous book Dhar reached this conclusion, which was later upheld by a former Supreme Court judge tasked with investigating the matter afresh. In his new book, Dhar piles up freshly uncovered facts and insights further invalidating the air crash theory, and supporting the view that Bose escaped to the former Soviet Union with Japanese help, and painting up a most interesting "dead man" angle. Interestingly, the book, published by the Delhi-based Vitasta Publishing run by former journalists, makes some startling claims based on over 200 documents, 90 of which are still classified. Interestingly, it deals with a Pranab Mukherjee angle to the mystery. Anuj Dhar tells rediff.comthat when Mukherjee was the external affairs minister, the controversy about Bose had been revived with claims from the recently collapsed state of USSR that Bose was there after 1945. Contrasting the Bose case with the tragedy of Swedish diplomat Raoul Wallenberg, Dhar claims in his book that despite there being intelligence and other reports about Bose's presence in Soviet Russia [ Images ], the Government of India [Images ] never asked the former Communist country to shed any light on the recurring rumours. Like Bose, Raul Wallenberg was said to be in the Soviet Union after 1945, when he was reported dead. Repeated highest level approaches by the Swedish government made the Soviets to come out with one outright denial after another. But after a decade, threatened with souring of bilateral relations, the Soviets admitted Wallenberg's presence in their country as a KGB prisoner. Dhar says, 'In 1990s a number of Indian scholars visiting Russia returned to claim that there were records about Bose in accessible intelligence and security-related archives." The "still secret" records reproduced in India's Biggest Cover-up show that the matter was addressed by the ministry of external affairs. 'RL Narayan, then a joint secretary and a future ambassador, doubted the official Russian response to an Indian approach made a little earlier that they did not have records on Bose. 'He advised in an official note still classified as "secret" that a démarche be issued to seek facts from the KGB archives. Dhar says the diplomat's recommendation was struck down after Pranab Mukherjee "saw this note and scrawled at the end that FS (then Foreign Secretary Salman Haidar) should discuss the issue with the JS (EE) 'urgently'". 'The outcome of the meeting was evident in the actions that followed, writes Dhar. No démarche was ever issued, as was recommended by Narayan. On the contrary, he started taking a hardline against the Asiatic Society scholars who were raising a demand for an access to the secret Soviet records. "It was almost as if Narayan came under a spell of Bengal ka kala jaadu, black magic of Bengal," says Dhar, explaining the JS's change of heart. In 1994 the ministry of external affairs, in a response to a top secret ministry of home affairs query about the Japanese government's confirmation of Bose's death by way of furnishing a proper death certificate, replied in the negative since the Japanese records were obviously fake. I'n 1995, in deference to the advice of the Intelligence Bureau, the Union Cabinet decided not to bring the so-called ashes of Bose to India from Japan [ Images ]. But Mukherjee flew to Germany [ Images ], and according to unverifiable claim of a former MEA official, says Anuj Dhar in his book, tried to bribe Bose's Austrian wife to certify his death by giving a written approval to take the ashes to India as that of Netaji's. Netajis' octogenarian wife Emilie Shenkel was enraged at Pranab's proposal and asked him to leave her house as she, like most of her family members, believed that Bose was in Russia after his death -- a fact glossed over by a recent book by Sugata Bose, son of former Congress MLA and Mukherjee's friend the late Sisir Bose, says Dhar. Later, when a report misquoted Mukherjee saying that Emilie had given the permission to bring the ashes to India, she lashed out saying, 'Pranab Mukherjee was propagating an untruth for reasons best known to him and the government of India', the new book says. 'A decade later, Pranab Mukherjee was described in the Justice Mukherjee Commission of Inquiry report as one of the seven witnesses who had testified before it in favour of the story on Bose's death. 'In an ironical twist, Pranab Mukherjee, having returned to power in 2004, then sat in judgment on the commission report along with his other Cabinet colleagues. In March 2006, when Justice Mukherjee's report saying that Bose hadn't died in 1945 and that the ashes in Japan were not his was yet to be made public, and Mukherjee was back as the external affairs minister, Sugata Bose secretly brought to Kolkata [ Images ] some human remains as that of Bose,' writes Dhar. 'Such intriguing transfer couldn't have been possible without some tacit approval of the authorities. The same year Pranab was accused of trying to scuttle the commission's inquiry and that probably led to his facing "mob fury in Kolkata" while his car was entering a hotel on June 18, 2006. 'The attackers owed allegiance to All India Forward Bloc, a leftist offshoot of Bose's Forward Bloc, which is now backing Pranab as a presidential nominee in the name of "Bengali pride",' notes Dhar. The issue of Netaji's fate and controversy about his remaining alive until 1985 was probed by former Supreme Court Justice MK Mukherjee between 1999 and 2005, which was rejected by the United Progressive Alliance [ Images ] government with the Action Taken Report laid in Parliament stating no reasons whatsoever. 'For any government in a mature democratic polity such a public damnation over a national icon would have sprung the head of the government to issue clarification. But it was not for nothing that Narasimha Rao was likened to the Sphinx. 'A feeble counteroffensive was launched in December 1996. Researcher Joychandra Singh told the media there was nothing more to the Bose mystery other than the Taipei crash. He claimed that Russia too upheld this theory. This he attributed to a response he had received from the Russian defence ministry archives in Moscow [ Images ]. 'Quite remarkable that a private citizen like Singh should have been able to elicit a direct response from the Russians, who hardly ever entertained such requests. But Singh had strong credentials. He had the tacit support of the government. 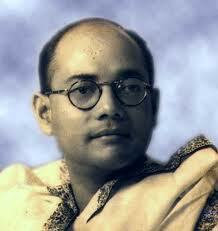 He had earlier been able to procure a counterfeit death certificate for Bose issued by Dr Yoshimi in 1988. 'The MEA records show that a Russian defence ministry note verbale dated October 28, 1996, was received by the Indian embassy from the Russian foreign ministry enclosing a letter from the head of the archives in response to Singh's letter,' Dhar writes. 'There are no records with the Central Archives of the Ministry of Defence of the Russian Federation about the catastrophe in August 1945 and death of...Bose. 'Joychandra Singh put his own spin on this to give journalists the impression that Russia upheld the Indian government-approved theory. He harped on his "12-year-old research" on the issue, which had been inspired by a communication from the Indira Gandhi [ Images ] government urging him to propagate the Taipei death story. 'Singh ran out of steam soon after, while Dr Purabi Roy continued to take the government to task alone: "If they are confident that Netaji was actually killed in a plane crash in 1945, why have they always tried to scuttle any fresh investigation? If they are clean, let them provide us access to the two archives and see what's there?" 'In 1996, she chanced to reach out to the prime minister of the Russian Federation. Viktor Chernomyrdin mooted the idea of an Indo-Russian commission to investigate the missing Indian nationals within the territory of the erstwhile USSR. 'But was anyone interested in India? RL Narayan, the joint secretary in charge of Europe East Division of the External Affairs Ministry -- JS (EE) -- made an assessment of the situation in 1996. In the note of January 12, 1996, Narayan, who had had two stints in Moscow, admitted that 'from time to time various articles have appeared in the Soviet/Russia press insinuating, though without any actual proof that Netaji in fact stayed/was incarcerated in the Soviet Union after 1945', Dhar writes. 'The note then set out to tackle the Asiatic Society's poser that "unless the ministry of external affairs of our government prevails upon the Russian authorities to allow our scholars access to KGB archives it is absolutely impossible for the scholars to pursue the matter further either of this country or of scholars of Russia". 'Explaining the backdrop, Narayan mentioned that there are broadly three kinds of archives which may be of relevance. Papers relating to the Stalinist period (KGB archives) are kept separately and have so far not been accessed by foreign and even Russian scholars, with the exception perhaps of very limited and selected scholars like the late historian Volkogonov, who has published biographies of Lenin and Stalin on this basis. 'Papers relating to the post-Stalin period fall into two categories -- governmental and Central Committee/Politburo (these are again kept separately). The Russian foreign ministry's note verbale suggests that their disclaimer about Netaji may be based essentially on perusal of these latter archives. 'Foreign Minister Pranab Mukherjee saw this note and scrawled at the end that FS Haidar should discuss the issue with the JS (EE) "urgently". ''The details of that meeting between Haidar and Narayan are not known. Haidar goes off on TV these days talking at great length about all sort of happening in remote corners of the world, never saying a word about Bose. 'But the outcome of the meeting was evident in the actions that followed. No démarche was ever issued, as was recommended by Narayan. On the contrary, he started taking a hardline against the Asiatic Society scholars. Narayan was confronted with the problem yet again after Subhas's nephew Pradip, son of Suresh Bose, wrote to the prime minister drawing his attention to the information said to be available in Russia. 'The joint secretary now articulated in his note dated March 7, 1996, that the Asiatic Society scholars had 'unearthed no hard evidence of Netaji's stay in the Soviet Union' and yet requested the government to make a formal request to the Russians. 'Pradip Bose', he noted, 'has gone a step further and has requested (the) government of India to seek access to these files for the scholars'. Narayan opposed it tooth and nail, saying that 'no country in the world would permit access by foreign governments, let alone scholars from foreign countries, to its intelligence files. We have no evidence that such files exist; on the contrary, the Russian government has categorically told us that they have no evidence in their archives that Netaji was in the USSR after 1945. ...In the circumstances, it is felt that it would not be appropriate for Government of India to request to the Russian government to open the KGB/Presidential archives to the Asiatic Society scholars. This would amount to our disbelieving the Russian government's categorical and official statement on the subject'. 'This note was seen by Prime Minister Narasimha Rao, who issued the following instruction through his secretary: PM would like our ambassador in Moscow to make discreet enquiries at a high level to ascertain, if possible, the existence of such information in Russia; and the possible reaction of the Russian side if we were to request access. Foreign Secretary may kindly see. 'It is quite clear that the PM was well aware of the importance of a "high level" contact. But whatever the ambassador did in Moscow did not change anything. In his November 1996 note, Narayan charged the Asiatic Society scholars with wanting to access to Russian archives "essentially in order to go on a fishing expedition in search of material on Netaji" which they "have convinced themselves, exists in these archives', Dhar writes. 'Therefore, our seeking to obtain access to these classified archives on behalf of the Asiatic Society, after the Russian government has repeatedly and formally told us that they have no evidence of Netaji having been in the Soviet Union after 1945 can therefore be easily misunderstood by the Russian side. 'From the present perspective of Indo-Russian relations, such a request would serve no positive purpose, but could well have a negative impact. Narayan -- a would-be ambassador -- also tried to reason why India could not seek access to security and intelligence-related archives in Russia like the Presidential Archive, the archives of the Foreign Security Service and the Archives of the Army General Staff,' Dhar explains. NEW DELHI: A soon-to-be-published book claims that finance minister and UPA's presidential nominee Pranab Mukherjee was engaged in an elaborate "cover-up" on the last days of Azad Hind Fauj founder and national leader Subhas Chandra Bose. Penned by former journalist Anuj Dhar, the book that is likely to hit the stands in July, dismisses the official version that Bose died in an air-crash inTaiwan in 1945. The book, India's Biggest Cover-Up, is based on records declassified by the US, British and Indian authorities and several documents that continue to be kept secret over 65 years after the incident. Dhar says that Mukherjee, in his capacity as the foreign minister, went the extra mile to support the air-crash theory despite evidence negating it. Referring to an incident in 1996, Dhar says that the then joint secretary (JS) in the ministry of external affairs suggested in a secret note that India should issue a demarche to the Russian Federation that they should conduct a search for any evidence about Bose in the KGB archives. The book says, Mukherjee saw this note and directed foreign secretary Salman Haider to meet the JS. After this meeting, the JS forgot about the demarche and became increasingly cynical and eventually noted that to seek access to the KGB archive would harm Indo-Russian relations. "Mukherjee remains India's foremost proponent of the Bose died in Taiwan theory,'' he writes. Dhar also claims that in 1994 the MEA in response to a top secret home ministry query about the Japanese government's confirmation of Bose's death by way of furnishing a proper death certificate replied in negative since the Japanese records were obviously fake. A decade later, Mukherjee was described in the Justice Mukherjee Commission of inquiry report as one of the seven witnesses who had testified before it in favour of the story of Bose's death. Ironically, Mukherjee returned to power in 2004, and then sat in judgment on the Commission report with his other Cabinet colleagues, rejecting the report's conclusions. The author believes that there is enough circumstantial evidence to show that Bose was possibly in Russia after the crash, and between 1945 and 1990 the Indian government did not bother to ask the Russian authorities about it. When asked what he believed actually happened if Bose did not die in 1945, Dhar said, "There is some evidence to suggest he died in Faizabad but the question can only be incontestably settled when government undertakes comprehensive declassification especially of those documents held by intelligence agencies." The Intelligence Bureau faked documents to prove Netaji dead!!! A just published book on the fate of Subhas Chandra Bose has claimed that the Intelligence Bureau doctored a British-era document to support the Nehru government’s stance on the freedom fighter’s reported death. India's biggest cover-up by former journalist Anuj Dhar has further charged that this doctored document has since been repeatedly used to shore up support in favour of the official view, lastly in a 2011 book by a grandnephew of Bose whose parents were in Congress party. Nawaz Khan, a Congress party MP and former Indian National Army officer, contained a selection of reports by various investigating officers. The first report was from Phillip Finney, an assistant director with the IB who had been sent to S-E Asia along with other officers to ascertain the facts. The copy of Finney’s report dated November 1945 supplied by the IB to the committee appeared to confirm the Japanese announcement of their ally’s death in August 1945, just at a time when the British were preparing to arrest him. A scrutiny of the document by Dhar however revealed that Finney’s report in the IB dossier [accessed under RTI in 2007] had been censored to expunge its last three and the most crucial paragraphs. Dhar located a complete copy of the same report in a declassified Ministry of Defence file at the National Archives in New Delhi. “Whoever tempered with this record did so with the intention of conforming to the government view about Netaji’s death,” he alleges. deposition before the commission that he accessed using RTI, Dhar writes that it gives one an “impression as if Mullik had been living in a cave all the while the Bose mystery was raging in India”. Interestingly, during his cross-examination Mullik was repeatedly asked whether or not the IB had snooped on Shaulmari baba, a hermit alternatively described as Netaji in disguise and a “plant” by the Intelligence Bureau. Every time he was put the question, Mullik replied that the Government never asked the IB to track Shaulmari baba and nor did the agency did that on its own as the issue “did not concern national security”. “Anything concerning the security of India would bring the Intelligence Bureau into picture,” Mullik had said on record. But in his book Dhar has reproduced formerly Top Secret records establishing that as DIB Mullick personally supplied information to Prime Minister Nehru on Shaulmari baba. India’s biggest cover-up also appends still classified IB records showing the agency’s unusual interest in Shaulmari baba—who was certainly not Bose according to Dhar— many years after the controversy about his real identity had petered out.